Ekotrope RATER – 100,000 ratings in the books! Left to Right: Keith Fettig, Michael Hill, Allison Senninger, Matthew Timmons and Devin Sielschott (on the iPad) of TSI Energy Solutions celebrate registering the 100,000th rating in Ekotrope. 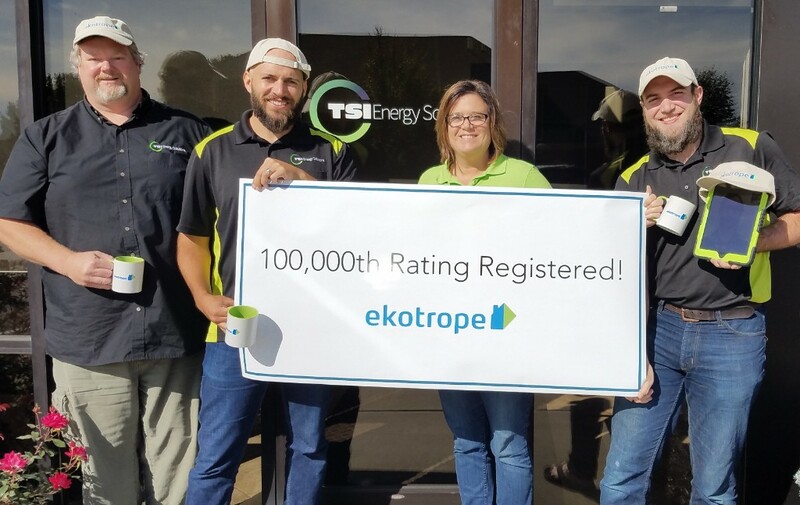 The 100,000th confirmed rating using Ekotrope RATER was submitted to the RESNET registry last month by Matthew Timmons of TSI Energy Solutions! We released Ekotrope RATER 2 years ago. Now, with approximately 9,000 homes being registered per month, it is likely the most popular HERS rating software.